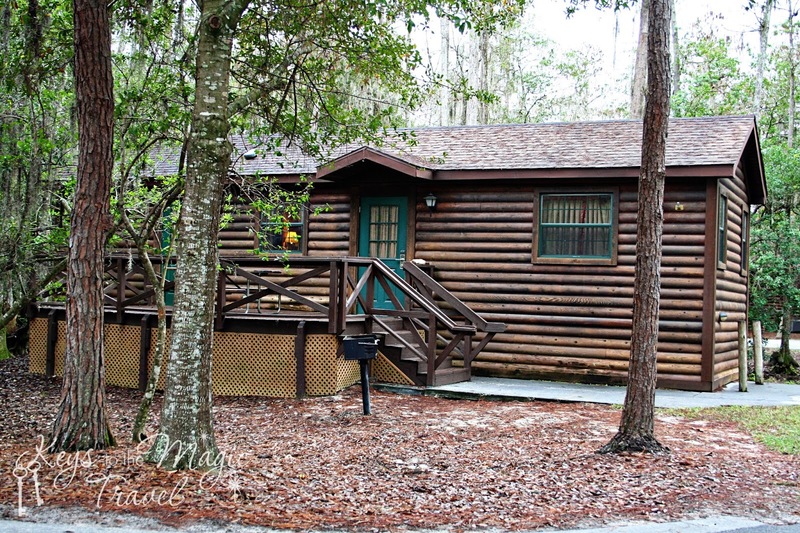 Fort Wilderness is an amazing resort - comprised of both campsites and rustic cabins - with LOTS to do and see. There are nightly campfire sing-a-longs, movies, nature walks, a beach to see the Electric water pageant, 2 swimming pools, volleyball, biking, boating, canoeing, fishing, horseback riding - and more! There are two speciality dining experiences - Mickey's Backyard Bar-B-Que and the Hoop-dee-doo revue, a table service location - Trail's end buffet, and a counter service option. If you'd like to camp at the resort, spots fill quickly - especially around holidays. 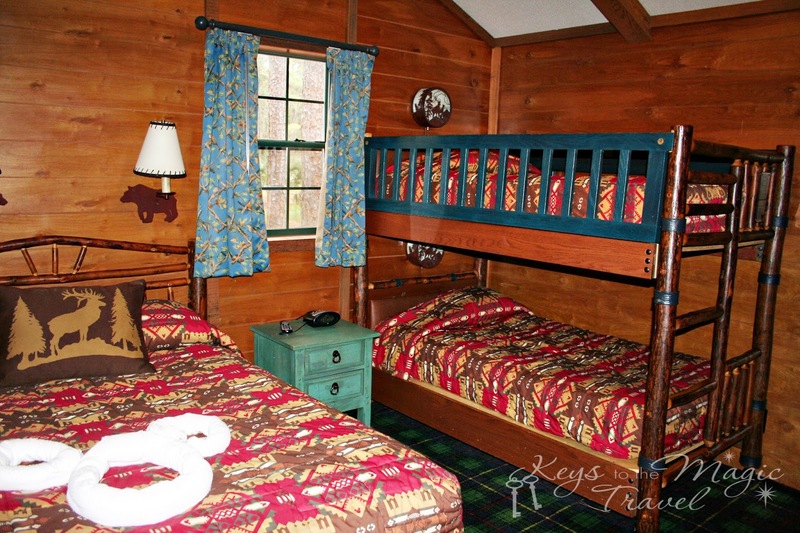 The cabins at Fort Wilderness are categorized by Disney as moderate resort accomodations - and are a great option for families with up to six people - and they are a great option if you want a separate space to relax in the evening after the kids go to bed rather than a traditional hotel room set up. 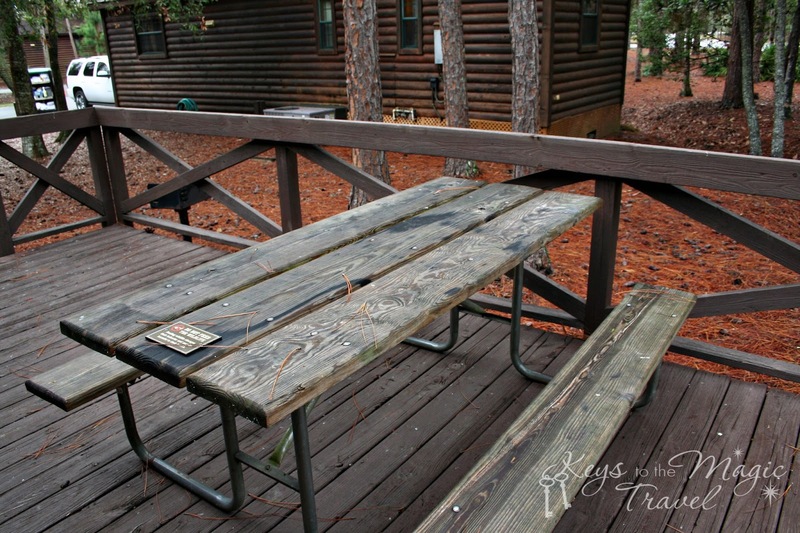 Each cabin has a parking spot, deck with a picnic table and a grill. 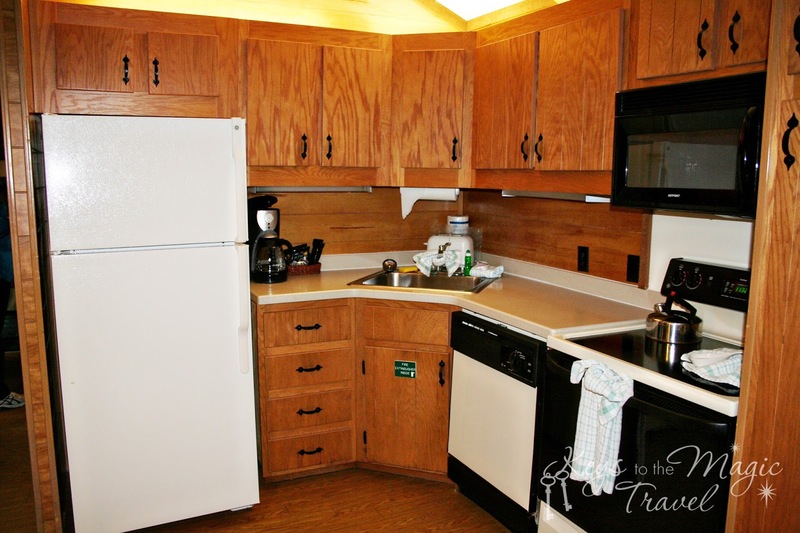 As you enter the cabin, you are in the kitchen and dining area. It is a full kitchen complete with everything you'd need to make a meal. And what's really cool - housekeeping will do the dishes for you! The dining area has a bench plus chairs. There is a living room - and there is a Murphy bed that pulls down from the wall. Down the hallway you'll find the full bathroom. And finally you have the bedroom. 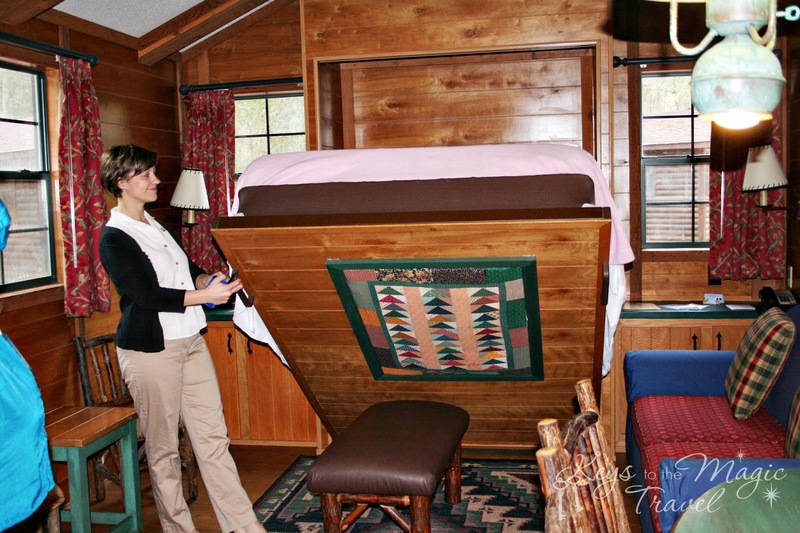 There is a full sized bed and a set of twin bunk beds. You'll also find a closet and the vanity area where you can dry your hair (great idea so that someone else can be getting ready in the bathroom!). 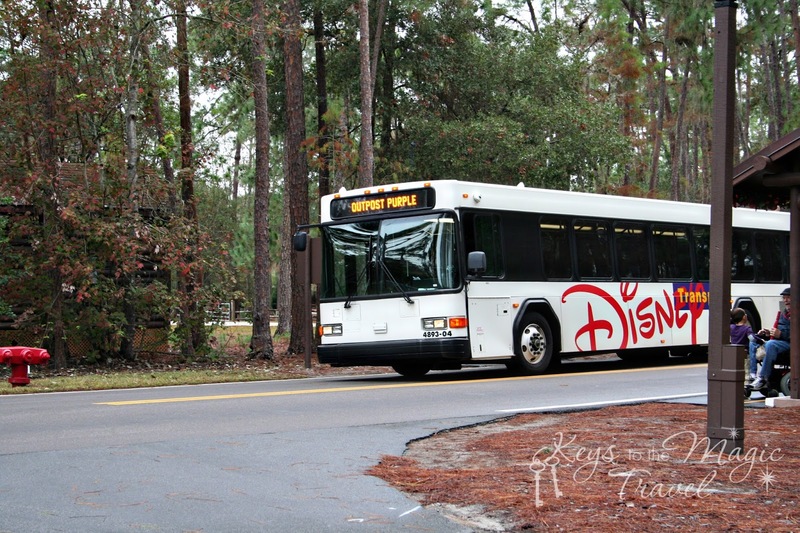 Like all Disney resorts, transportation between the resort and the parks is provided. 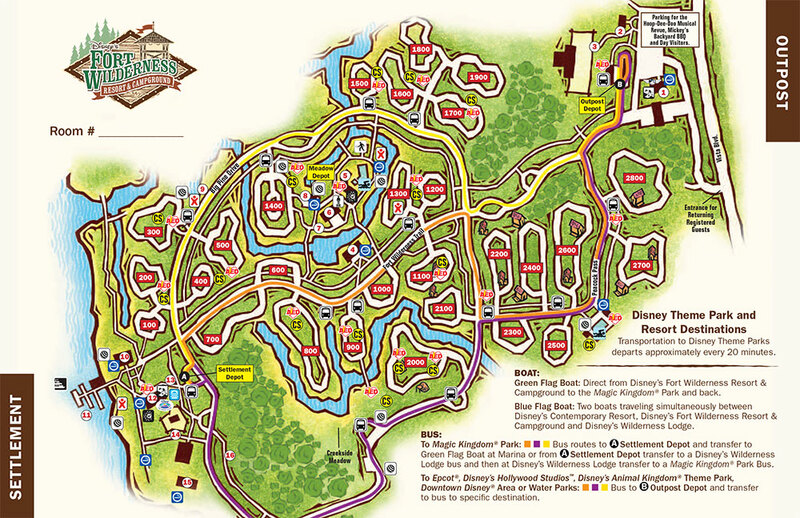 However, at Fort Wilderness it's a little more complicated. Because the resort is so large, there is an internal bus that will take you to either the front of the resort to catch a bus to the parks. Or, there is a different internal bus that will take you to the marina area where you can catch a boat to the Magic Kingdom. 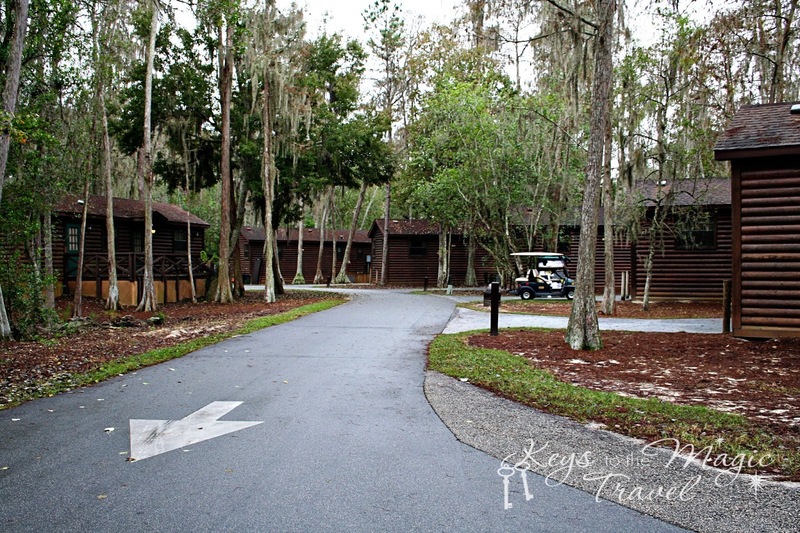 Rather than wait for the internal bus, you can always walk (but it can be quite a trek), use your bicycle, or even rent a golf cart from the resort. You can make reservations up to a year in advance and the costs are $59 a day plus tax. 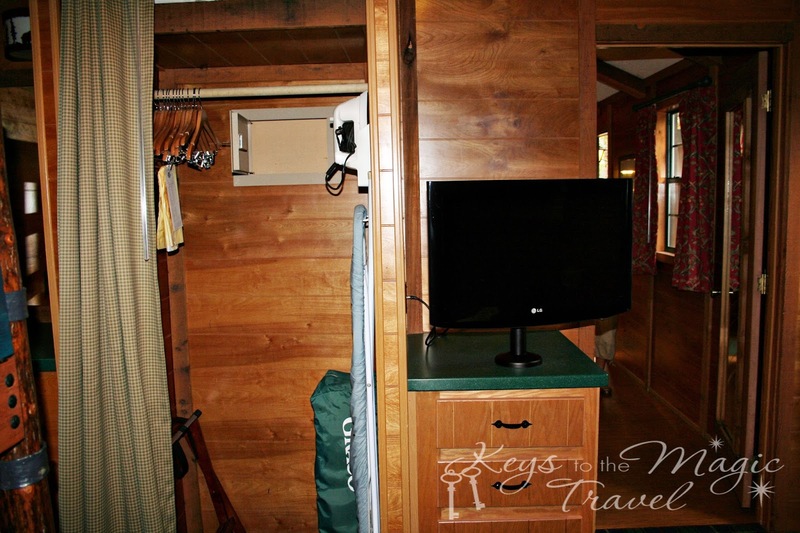 Do note, the cabins sleep 6 guests, but only 4 guests will fit in a golf cart! So...what about you? 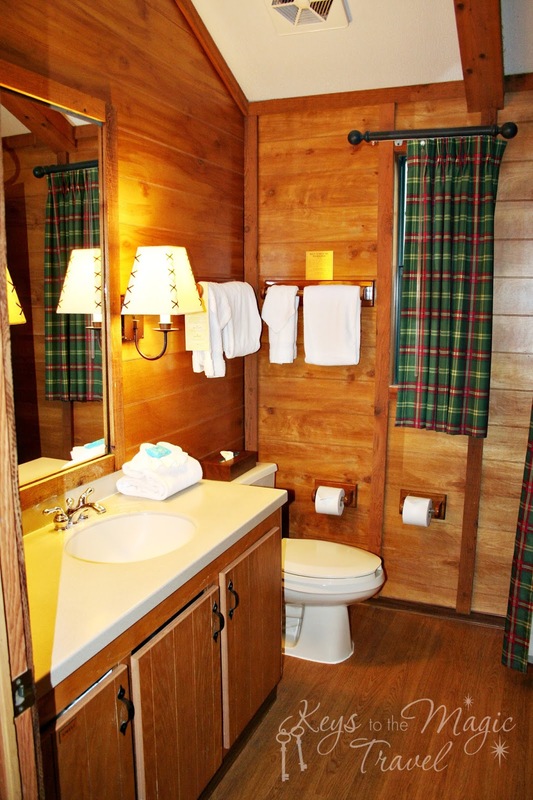 Have you stayed at Fort Wilderness? Have you visited to take advantage of all the activities there? Reading your content has made me very excited. All the pictures are well displayed. I love to do nature walk we can do camping there, so booking a cabin for all this is a nice idea.